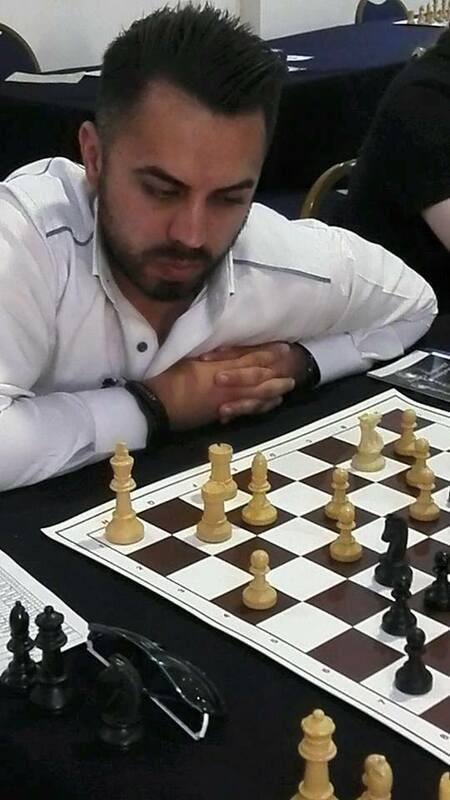 The first edition of the Lucky Dino Open was played 20-26 May in Sliema, Malta. 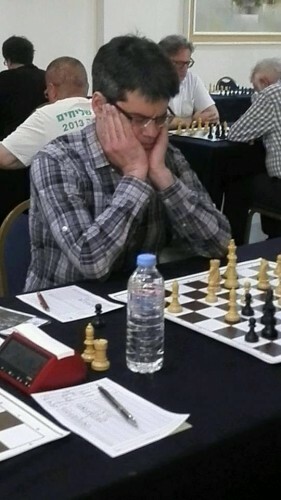 The joint winners, a Swedish IM Roland Ekstroem and a Polish Candidate Master Piotr Tworzydło scored 7,5 out of 9 and were followed by a Romanian player Tiberiu-Petre Stanciu, who finished 1,5 points behind them. Unlike many other countries Malta shows a very liberal and positive approach towards gambling. As a result the gambling industry gives the country approximately 10-12 per cent of the Gross Domestic Product, second only to tourism. Not surprisingly, when a gambling company sponsors a chess event, there is no need to hide its brand behind a “no logo” like in Norway. This year it was the first time when a chess event, a significant one by Maltese standards, was sponsored by the online casino Lucky Dino. The idea came from its graphic designer, a German expatriate Arne Kaehler, who is also a strong chess player at the club level. “I heard the casino’s managers talk about sponsoring a football club. I asked them: why don’t you consider sponsoring a chess tournament? They responded: why not? Finally, Lucky Dino put its money on a chess open and the football idea was set aside. I believe it was a good decision as luck is a strong element in chess. Thus the casino’s business and the 64 square game have much in common”, told us Arne. The tournament was divided into two groups: Open A for the players of Elo 1850+ and Open B for those under 1850. The lineup of the Open A was not very strong, but on the other hand the whole event was truly international. Over 20 national federations were represented including such distant ones as South Korean, New Zealand, Israeli and Palestinian. The 25-players group A had a clear favorite for the 1st place and it was a Swedish IM Roland Ekstroem (2395). Actually, he won the tournament, but the task was much more difficult than expected. 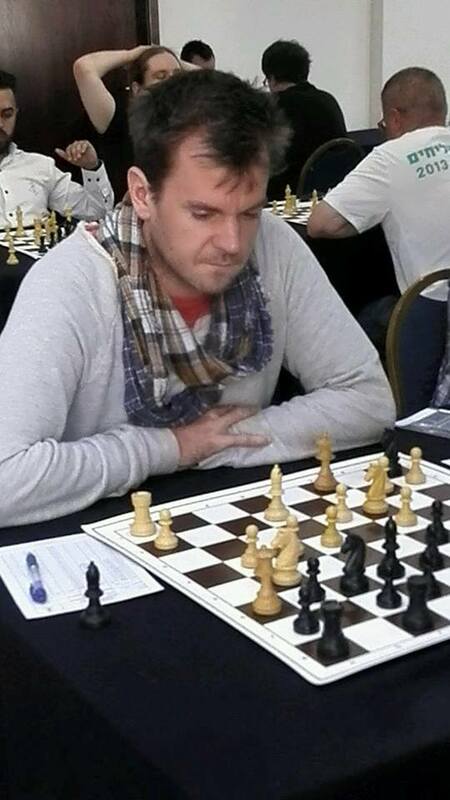 The very experienced IM faced a very strong opposition from a Polish Candidate Master Piotr Tworzydło (2116). 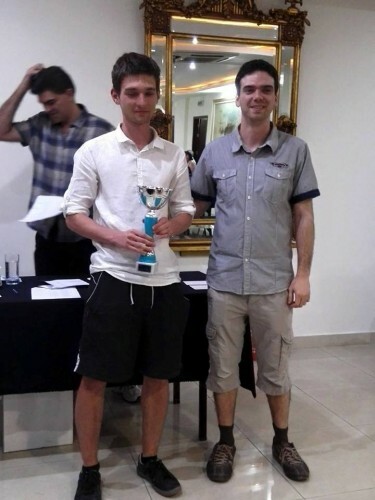 The two players drew their game in the round 5 and both scored 7,5 out of 9 (in the case of IM Ekstroem it included half a point for a “bye” he took in the 4th round). Therefore, the winner was declared based on tiebreak points and it was the Swede, who took the first prize. The third prize winner, a Romanian player Tiberiu-Petre Stanciu, scored 6 out of 9. 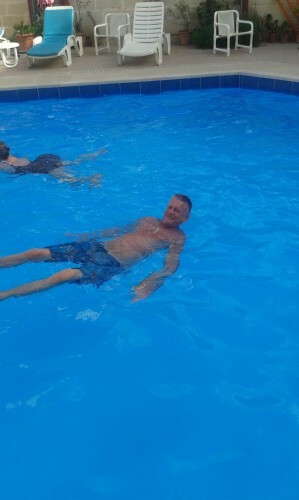 IM Ekstroem surprised other participants by taking half an hour swimming sessions before every game in the swimming pool that was available just in front of the playing hall based at the Sliema Imperial Hotel. After losing a game against the Swede in the round 6, I decided to copy that part of his preparation, but the last 3 rounds gave me only 1,5 points and a disappointing 5th place with the 5 out of 9 score. Thus I realized that it is not enough to swim before your games to achieve success in chess. Some over the board skills are required as well. The true hero of the tournament was the 2nd prize winner and a 29-year old architect from Poland, Piotr Tworzydło. His rating performance at 2368 was much above the rating he had before the event. By the way, the Lucky Dino gave him additional 49 Elo points. Piotr showed a very solid play as well as cold blood that helped him in two or three games, where his positions looked dubious. It seems that Black is much better, but it is not clear, how he should continue. Anyway, the Finnish player could not find a way to achieve anything tangible and found himself in troubles just in a few moves. 32…Bc3?! Looks strong, but actually it leads nowhere. Better was, for example, 32…Rd8 and now the threat of 33…Bc3 (the double attack on b3 and d4) makes that White should be really cautious. However, it seems that after 33.Qc2 White can still hold. After this exchange, quite unexpectedly, White is better. 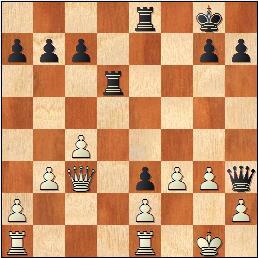 Black should have admitted his last move was not the best one and retreated the bishop to b4 or a5. 34.Rxd4 Rd8 35.Rhd1 Rxd4 36.Rxd4 Qb4 37.Rxe4 Rd8? 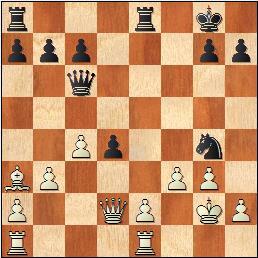 Probably, Black counted on this move introducing a threat of 38…Rd2. However, White has a very strong reply that is just winning. 38.c5! Qb7 38…Rd2 was even worse due to 39.Rxb4 Rxc2+ 40.Kxa3 and the threat of 41.Rb8 mate leaves White with 2 connected passed pawns. 40…Rc8 41.Rb7 Qd8 42.c7 Qd7 43.Rb8 Kf8 44.Qc5+ Ke8 45.Qd6 etc. 1.d4 d5 2.c4 e5 3.dxe5 d4 4.Nf3 Nc6 5.g3 Be6 6.Nbd2 f6?! 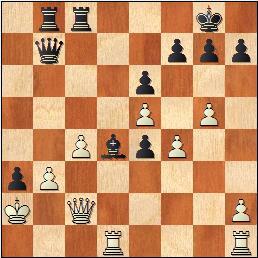 The main move is 6…Qd7. After the text the compensation for the pawn is questionable and according to my database 6…f6 has given Black only slightly more than 10 per cent. It is not a problem for Arne Kaehler. It is a kind of player who always believes that minor material deficit is irrelevant, since the opponent, sooner or later, will be caught with some devilish tactics. 7.exf6 Nxf6 8.Bg2 Bb4 9.0–0 Bxd2 10.Nxd2 0–0 11.b3 Qd7 12.Ba3 Rfe8 13.Ne4 Nxe4 14.Bxe4 Bh3 15.Bg2? Until this moment everything was fine for White. However, allowing exchange of the light square bishops is a big mistake. As a result the white king will be seriously exposed. 15.Bd5+! was necessary. 15…Kh8 (15…Be6 16.e4! (16.Bxe6+? 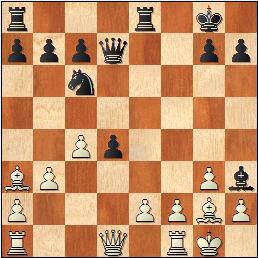 Qxe6=) ) 16.Re1 with a big advantage in both cases. 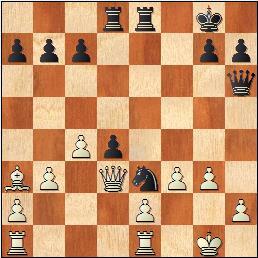 Black could also play 16…Re6 , but transferring the knight towards he kingside is a good idea, either. 17.Qd2 Qc6+! 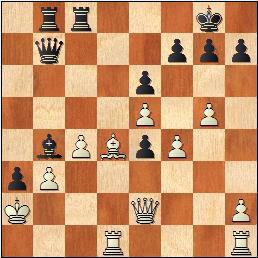 18.f3 White concedes the e3 spot, but after 18.Kg1 d3 he would have some problems as well. Anticipating that the black knight is going to jump on e3, White should be ready to place his rook on f2 so that it defends the crucial g2 square. Thus 19.Kg1! Ne3 20.Rf2= was called for. 19…Ne3+ 20.Kg1?! White is not bothered with potential mate on g2. 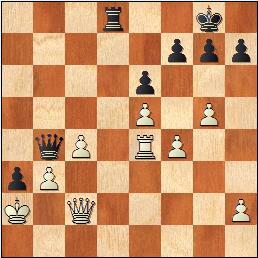 Otherwise he would play 20.Kh1 to be able to defend the g2 square with Re1–g1. However, Black’s position is better, already. 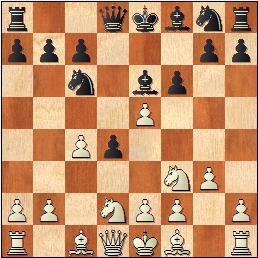 Now the threat of 22…Qh3 and 23…Qg2 mate decides. 22.Bc1 Equal to the surrender. However 22.Rf1 Nxf1 23.Rxf1 Qa6 24.Bc1 Qxa2 was hopeless as well. 22…Qh3 23.Bxe3 dxe3 24.Qc3 Rd6! 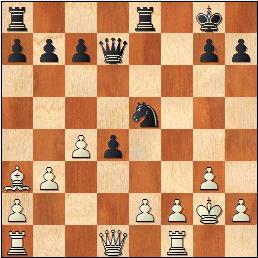 and White resigned, because he did not want to see 25…Rh6 with a sure mate. A powerful attack! The group B was much more populous then the group A as it gathered 44 players. Just like in the main tournament there were two winners – the Englishmen Phillip K. Gardner (1793) and Ali Niall (1593) – who scored 7,5 out of 9. 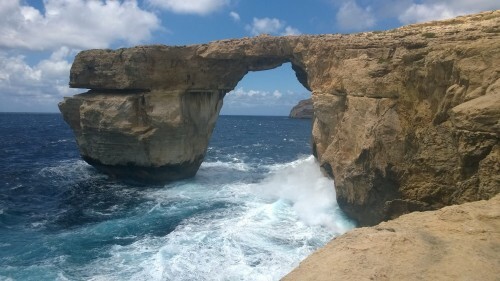 The 3rd prize went to Mario Psaila (1841) from Malta.